How do you imagine your own death? Will it be peaceful? Will it be quick? Will you be old? Our death is a mystery to us. We cast it as an outsider, a thief, robbing us of our breath in an instant, without warning. But death is less mysterious than we imagine. Its origins are in our genes, in the things that happen to us, in what we do. 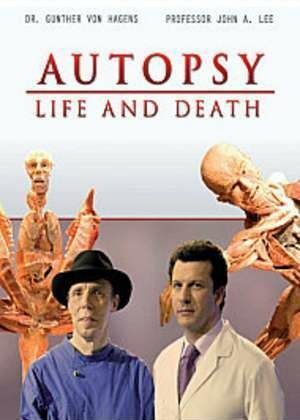 In this series, controversial anatomist Dr. Gunther von Hagens shows, through live dissections of human bodies, how the two courses of your death can be found in the way you are designed and the way you live your life. Four episodes, focusing on circulation, cancer, poisoning and ageing, are all demonstrated with human dissections, as well as live and scientific models, to reveal what disease really looks like and how it works. - Blood: This lesson investigates the flow of blood and the possibly disastrous consequences when suffering from arterial sclerosis. - Tumors: One in three people get cancer, one in four die of it. This lesson is concerned with tumours, their nature and why they can be fatal. - Poison: When certain organs in our bodies don't function properly, even usually harmless activities like our intake of food and drink can kill us. - Time: Age marks our bodies both visibly and invisibly. This lesson demonstrates how the interior of our bodies ages, and why our organs eventually stop working. This page was last modified 11:53, 21 February 2019.